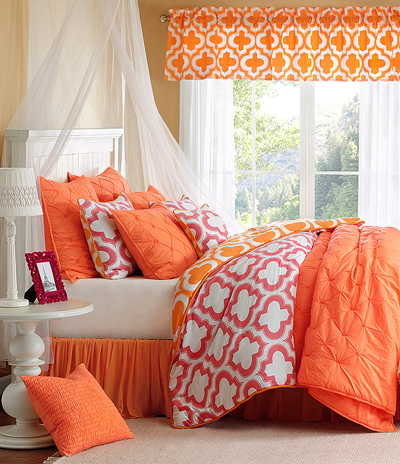 The Impulse Bedding Collection features a reversible ogee pattern on cotton. Works great as a pattern to layer into solids or can stand all on its own. $25-$159. Buy here.